Choosing Joy: Origami Owl Giveaway! Hi everyone! I'm so excited to be posting here on Jenna's blog. I've been reading here since Hudson was a tiny baby, and I have loved following all of their adventures! 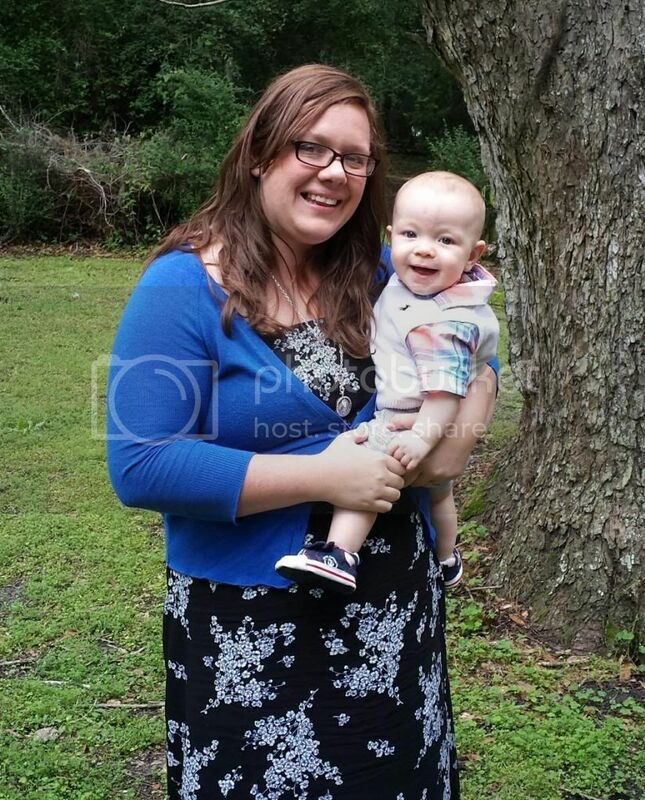 Rhett is just a little older than my own sweet boy Levi, so I can relate to so many of Jenna's stories. That's actually what I want to share about today--stories! I am a story teller by nature. I love to share about what is happening in my life. Scrapbooking is one of the ways I do that--I love picking out the perfect pictures and embellishments to capture moments. I also love journaling. There is nothing like a blank page in a pretty notebook and a favorite pen. Now that I'm a mom and working full time, I don't have as much time for either of those things as I'd like. There's just never enough time in the day! But capturing memories and sharing my stories is still so important to me. I don't want to forget any of the little moments in life. That's why when I discovered Origami Owl jewelry, I was hooked. Origami Owl offers lockets, charms and other accessories that are completely customizable for you to tell your story with jewelry. This is my first locket. I started with the Blessed plate, because it's exactly how I think of my life. I added the rose gold cross to represent my relationship with Jesus and His death on the cross for me. The April birthstone is for the month my husband and I were married, and the July birthstone is for my son. Finally, I added the script word love because I want to remember every day how much I am loved and to show that love to others. -A mom who lost her son created a beautiful heart locket to memorialize him, with his initials, a pair of angel's wings, and a heart saying "in memory of". -My dad built a locket for my stepmom after they went through a rough patch. It included the "Always" plate, the "love" plate, a wedding ring charm, and the sun and moon charm to represent loving her to the moon and back. -A good friend chose charms to represent her hobbies and passions: a paw print, a music note, an Icthus fish, and an owl. -My pastor's wife used our "Over the Heart" chain, which holds two separate lockets, so she could include birthstone kids for all 13 of her grandchildren! To make it even easier for you to tell your story, Origami Owl has been recently released a collection of Hispanic cultural charms, a set honoring mothers, and a set to celebrate graduates. There is something for everyone! What story do you want to tell? Is it about your marriage, your kids, your grandkids, a special trip, a favorite past time? **GIVEAWAY** Today, I want to offer one of Jenna's readers the opportunity to tell their story with a $30 gift card to Origami Owl. To enter, please visit my website at wearwithlove.origamiowl.com and pick one charm (or a few!) that would tell your story. Leave a comment sharing your choice and you'll be entered! The giveaway will be open until Saturday, May 24 at midnight and I will choose a random comment on Sunday, May 25. I'd also love it if you would visit and "like" my Facebook page at www.facebook.com/origamiowlsapp so you can get updates on new collections and specials. Thanks so much for reading today! It's been an honor to be here. I love the Origami Owl! I would love to make a special bracelet for my Mom with a "Mom" charms and something pink and girly! I would pick birthstones for each of my children and a kitchen mixer--I love to be in the kitchen! Very neat! I would choose mine to reflect the love for my faith and family! I love Origami Owl !!! I would like to start a bracelet or maybe get a second longer chain and a new locket .. or possibly just add some tags to the one that I already have .. :/ tough decision !! a gift card would make it a little easier !! thanks !! I would choose the dog and cat charms. I love my fur babies! I would also choose my birthstone. My birthday is Saturday. This would make a nice present! I have an Origami Owl necklace and I LOVE IT!!!!!! I got it for Christmas and I wear it all the time. I would pick love scripted, to add to my locket that tells the story of my love for my husband. I would love to get a bracelet next! I like the initial ones. 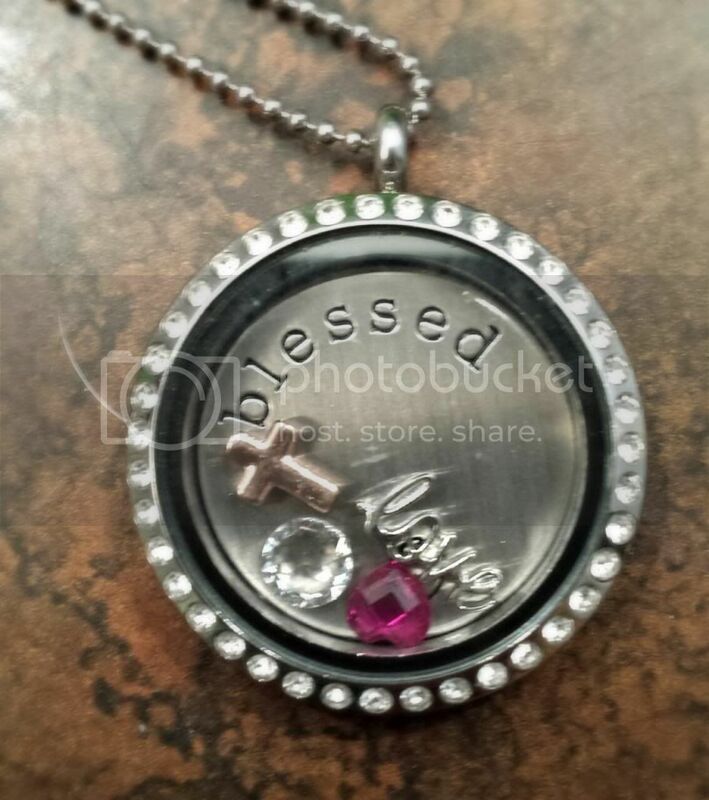 I would love to do a locket with things about me - flip flops, cupcake, the mom heart, blinged silver cross, "love" in scripT and my birthstone in the heart shape. :) Thanks for sharing your story! I would probably do birthstones form my family members (hubby, son, daughter), a paw print for my dog, and a cross to represent my faith in Jesus. I love my adult son two years ago and love to wear anything that proclaims what a wonderful son he is. I love O2!! I would love to add the silver cross to my collection, as well as the vintage rose. The cross for my faith, and the vintage rose to represent that I love old things! I can't chose! Haha! I love all of the vintage charms and I really do like the infinity charm! I love the open cross plate with the tiny jewels on it and my daughter and husband's birthstones would be great. Really pretty stuff! -- Joanna H.
I was so excited to see some charms celebrating where I grew up - Puerto Rico. I would order the PR flag, familia, and a pineapple! Como me encanta este regalo! I would have the "familia" plate with silver cross for my faith and a compas for all the medical mission trips i have done to latin american countries. I would probably do the month of my husband and I's anniversary, a cross and something related to adoption- we're in the adoption process, so maybe the birthstone of our child, a flower, etc. I would get the little boy and little girl charms for my kids and the blessed plate! I love it!!! I'd love to have the Rainbow, Butterfly, Breast cancer and colon cancer awareness ribbons. I like the rose gold cross charm! Love!